I was on a cooking mission the other day. To be honest I went a bit crazy, home-made bread rolls and stew for dinner followed by pumpkin pie. 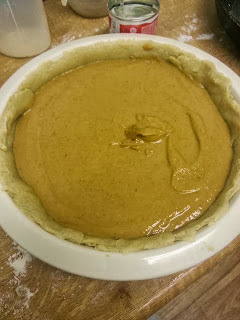 I have always wanted to try pumpkin pie as I have seen it on so many american shows. 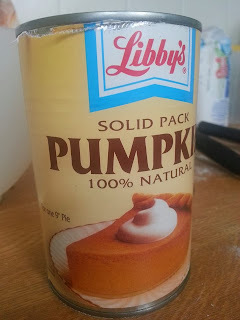 I bought a can of pumpkin ready done from an american grocery store based online. It cost £2.35 for 425g of Libby's solid pumpkin. I made the pastry for the pie first. A simple recipe for shortcrust pastry it said 9oz of pastry is needed but I would advise to use more and make the base and casing a little thicker as I found it to be too thin for my liking. So how you make the filling is pretty simple, it tells you on the side of the can also. You empty the full can into a bowl mix in a teaspoon of cinnamon, half a teaspoon of ginger and just a quarter of a teaspoon of ground cloves. Throw 6oz's of sugar in and half a pint of evaporated milk. You will see while mixing that the mixture isn't so orange anymore. 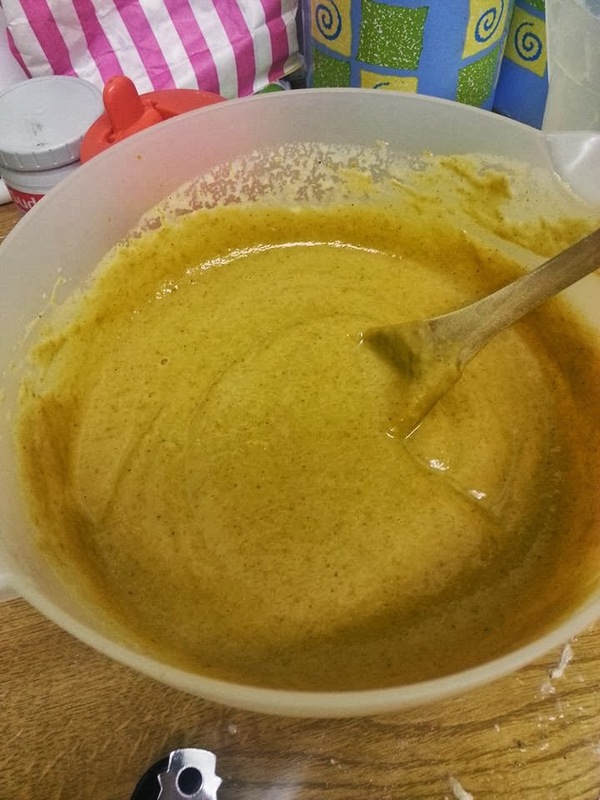 While mixing the filling place your pastry in the oven for 15 mins around gas mark 7 is fine. Once that's all done pour the mixture into your pastry, reduce the heat to gas mark5/6 (depends if you have a dodgy oven like I do) and leave it for 40-50 minuets. Unfortunately my camera died on me after this picture so I don't have a picture of what it looked like afterwards. To make sure it is fully cooked use a knife and place in the middle of the mixture if it comes out clean your good to go. When I had a bowl of pie I had it with squirty cream. Although I found it nice it could of done with being more sweeter and having more pastry. I'm planning on making it again at some point but it will have to have some tweaks I think. Don't forget to check out the Halloween competition, please make sure they are your own designs as I have had a few people use google images and pass it off as their own. This upsets me slightly as I'm using my own money to buy this prize because I value my readers also I feel insulted that you think I would be silly enough to be fooled by these.